The European Audiovisual Observatory and the Moroccan audiovisual regulatory authority, HACA (Haute Autorité de la Communication Audiovisuelle), organised a high level experts’ meeting in Rabat with the support of the South Programme. The meeting dealt with the financing of public service broadcasting, both from an economic and regulatory point of view. It brought together 18 different broadcasting, economic or regulatory professionals from Europe and the Mediterranean area for an in-depth and extremely fruitful exchange of ideas. Morocco joined the European Audiovisual Observatory in 2014 and became the first country from the Southern Mediterranean to be part of the Observatory's network. The third and last Steering Committee meeting of the South Programme I was held on 15 and 16 December in Paris. It gathered around 60 participants from partner countries –from both governance instances to civil society – and representatives of the CoE and the EU, with the aim to take stock of three years of intense co‑operation, to analyse its results, to discuss the process of reforms undertaken by partner countries, and to assess the Programme’s impact. The meeting in Paris has confirmed the Programme’s relevance as a useful tool to accompany the structural reforms by partner countries, to support the setting up of new legal frameworks and of new democratic governance instances, as well as to promote democratic values in the region. An information seminar on the CoE addressed to 20 representatives of the various committees of the House of Representatives and House of Councilors of the Parliament of Morocco, was held in Strasbourg on 11-12 December 2014 in the framework of the South Programme. An introduction to the structure and functioning of the CoE has been followed by presentations on the European Court of Human Rights and on the activities of the Parliamentary Assembly. Discussions continued on co-operation activities between the Parliamentary Assembly and the Parliament of Morocco as part of its Partner for Democracy status and of the South Programme. 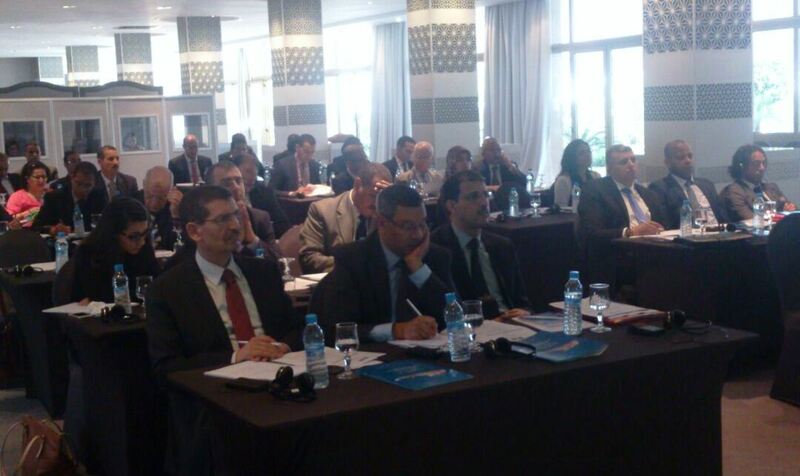 As part of the South Programme, a public conference brought together on 4 December 2014 in Rabat (Morocco) stakeholders of a pilot project aimed at analyzing the risks of corruption. Coordinated by the ICPC in favor of the Ministry of Foreign Trade, the meeting came as a response to a recommendation contained in the legal and institutional framework assessment as regards the periodic corruption risks analysis. By providing the ICPC with an additional self-assessment methodology, the CoE has contributed to strengthening the already established arsenal of tools at its disposal. Corruption risks in this Ministry are minor according to experts. They have suggested 18 general and more specific recommendations and noted that "the Department could act as political entrepreneur and rally stakeholders to reform in order to achieve better governance in the country, according to the new constitutional provisions." The event, which brought together 32 representatives of the Ministry, organisations under its supervision, professional associations and Transparency Morocco, allowed also to present the first elements of a sectorial strategy of the Ministry based on the pursuit of dematerialisation efforts and diagnosis of new risks. From 27 to 30 November 2014, Marrakech hosted the 2nd edition of the Human Rights World Forum. This event brought together more than 7000 personalities and organisations from some 100 countries around the world with a view to exchanging on how to protect and promote human rights worldwide. A regional seminar organised by the Moroccan School of Political studies allowed to discuss standards and tools to institutionalise policies of diversity in the Southern Mediterranean with a view to strengthening democratic pluralism and human rights in the countries of the region. The Moroccan School also organised a thematic conference “Democracy and Human Rights”, on the conditions for stability of democratic processes as well as the theoretical and practical relations between democracy and human rights. In the fields of trafficking in human beings, a workshop on challenges and good practices in the fight against trafficking in human beings allowed to discuss international efforts and best practices to tackle this trans-border phenomenon on the basis of the CoE Convention on Action against Trafficking in Human Beings (ETS n° 197) and other international standards as well as the role of civil society in assisting the victims of trafficking. A regional conference on the evaluation and consolidation of a training-of-trainers project “The Democratic Participation of Young People: Rights and Practices”– which is part of a project launched in March 2013 aiming at supporting the democratic participation of Algerian, Moroccan and Tunisian youth – allowed to take stock of what has been done and to consolidate the capacities of trainers in view of future initiatives in this field. CoE Venice Commission’s experts have contributed to the Thematic Forum on the interaction by Parliaments with Human Rights United Nations’ Mechanism and to the Round Table organised by the Mediator on Ombudsmen and Human Rights. All activities organised in the framework of the South Programme during the Forum confirmed the need to continue strengthening the capacities of relevant actors. As well as a greater coordination and awareness raising as regards the progressive integration of human rights based approach in co-operation activities development. 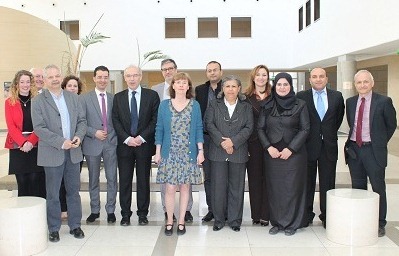 A group of experts of the European Commission for the Efficiency of Justice (CEPEJ) visited Tunisia on 3-4 November 2014, within the framework of the South Programme. On this occasion, the CEPEJ organised a training session for Tunisian court clerks, in co-operation with the Tunisian Higher Institute for the Judiciary. 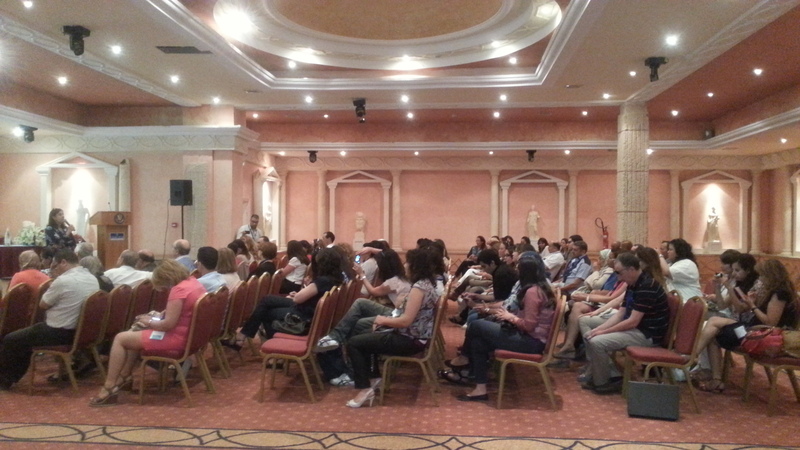 This training session focused on the relations between clerks and the judiciary as well as between clerks and lawyers. The CEPEJ experts also met representatives of the pilot courts to take stock of the state of implementation of co-operation activities, and discuss the follow-up to the co-operation between the CEPEJ and the Tunisian pilot courts. 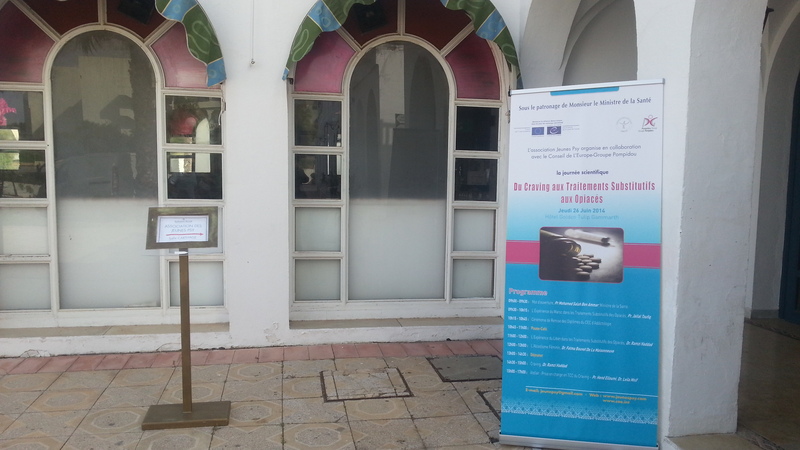 A Seminar on the new migration policy of Morocco and European experience was held on 23-24 October 2014 in Rabat, Morocco, in the framework of the South Programme. The seminar was organised by the Parliamentary Assembly of the Council of Europe in cooperation with the Parliament of Morocco. The event was an opportunity for participants to discuss many topics related to the issue of immigration, including: Morocco's new migration policy, the policy of integration of migrants policy and European integration policy’s best practices. The conference was attended by heads of parliamentary committees of France, Italy and Spain, international experts from Portugal, Belgium and Finland, representatives from the Moroccan authorities and representatives of NGOs from countries of origin as well as representatives of civil society. A delegation of four Council of Europe Secretariat members visited Amman on 14-15 October 2014 within the framework of new cooperation priorities for the period 2015-2017 between the Council of Europe and Jordan and a Scoping Mission on Corruption. The CoE delegation met with a number of public instances involved in the prevention and fight against corruption and economic crime, including: Anti-Money Laundering and Counter Terrorist Financing Unit, the Anti-Corruption Commission, the Ministry of Justice and the Royal Committee for Enhancing the National Integrity System, the Audit Bureau, High Judiciary Council and representatives of the civil society. Discussions between CoE delegates and Jordanian authorities confirmed that the fight against corruption remains a challenge for the country and therefore should be part of the areas for cooperation with the Council of Europe, as emerged from the CoE Deputy Secretary General’s, Ms. Battaini-Dragoni, high-level meetings of April 2014. From meetings with the above mentioned agencies, the Council of Europe delegation received indications of strong interest in strengthening cooperation, and more specifically with those institutions where CoE member states have good practices to share and which could be used as modules and tools in further strengthening the national capacities to prevent and fight corruption as well as money laundering and terrorist financing. One of the most important areas where tools and legal frameworks would need to be enhanced was international cooperation on criminal matters, particularly when linked to cross border corruption, money laundering and terrorist financing offences in and with MENA region as well as with Europe. The Jordanian Ministry of Justice expressed strong interest towards certain CoE conventions, in particular those focusing on criminal matters and on the fight against terrorism. In this sense, it was agreed that the Working Group on Rule of Law Conventions will meet by the end of 2014, in order to present a limited number of CoE conventions in these fields, while the Working Group on Human Rights Conventions will only meet in the first quarter of 2015. The fight against corruption was also at the centre of discussions between the CoE delegation and the Delegation of the European Union (EUD) to Jordan, with a view to include this new area of work in the follow-up of the Regional EU-CoE Programme “South Programme”. Moreover, the meeting with the EUD was a chance to take stock of the progress of the CoE’s work in Jordan and to coordinate future initiatives in the country. The CoE delegation had also the chance to meet the Jordanian Ministry of Foreign Affairs, which confirmed its intention to continue and strengthen cooperation in the near future. 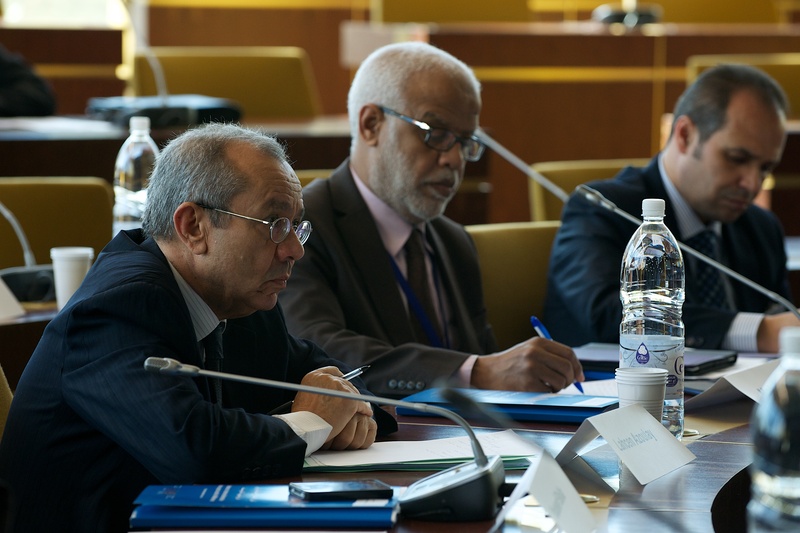 In the framework of the South Programme, Moroccan and Tunisian representatives will participate in the 16th meeting of the Steering Group of the SATURN Centre for judicial time management on 15 and 17 October 2014 in Strasbourg and in the 9th plenary meeting of the CEPEJ Pilot Courts on 16 October 2014. During the meeting of the SATURN Centre, its members will discuss the collection of data on timeframes for civil, criminal and administrative proceedings from the CEPEJ pilot courts. The participants will examine the possibilities of integrating the guidelines on judicial timeframes for prosecutors, the definition of targets for judicial timeframes and the implementation of standards for timeframes at the European level. In view of the plenary meeting of the Pilot courts, the members of the Group will have an exchange of views on ways to reduce excessive workloads in the courts, and as regards the programmes to support courts in Council of Europe member States. During the plenary meeting, practical workshops will be organised, aiming to guarantee the application of good practices as from 2015 in the courts, in particular standards of judicial timeframes, management of judicial experts and the organisation and accessibility of courts. The CEPEJ has set up in 2007 a Centre for judicial time management (SATURN Centre - Study and Analysis of judicial Time Use Research Network). 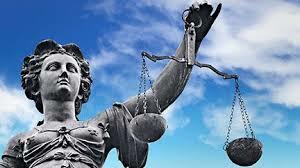 The SATURN Centre is instructed to collect information necessary for the knowledge of judicial timeframes in the member States and detailed enough to enable member states to implement policies aiming to prevent violations of the right for a fair trial within a reasonable time protected by Article 6 of the European Convention on Human Rights. For more information on the SATURN Centre we invite you to visit the specific page on the CEPEJ website. For more information on the next CEPEJ meetings we invite you to visit the website of the CEPEJ. A journalist from the EU Neighbourhood Info Centre has followed a CEPEJ mission to Morocco: the report is available online attached to a short news on the ENPI-EUROMED website. The European Commission for the Efficiency of Justice (CEPEJ) of the Council of Europe has published its Annual Report on 9 October 2014. This document based on data collected in 2012, presents the main trends in 45 European countries and allows policy makers to better understand the functioning of the public service of justice in Europe. For the first time, the CEPEJ has integrated into the evaluation cycle, at their request, non-member States of the Council of Europe which have observer Status at the CEPEJ – among them, Morocco since 2013 and Israel since 2012. The latter participated in the 2012 evaluation cycle. The report also refers to the extended co-operation agreement which the CEPEJ has implemented since 2012 with the non-member States of Morocco, Tunisia and Jordan. The co-operation of the CEPEJ with Morocco and Tunisia is part of the co-operation programme established for the Southern Mediterranean countries – the South Programme. Training on administrative inquiries techniques related to corruption cases will take place on 16 and 17 October 2014 in Rabat, Morocco.This event is part of the South Programme’s activities to promote good governance and fight against corruption. Organised in partnership with the Central Authority for the Prevention of Corruption (ICPC, Instance Centrale de Prévention de la Corruption), this training will also report on recent cooperation talks with the College of General Auditors of Morocco. Experts from Switzerland, France, Belgium and Italy will share their experience regarding the various tools and techniques relevant to administrative inquiries cases, records and detection techniques of violations in different administrative sectors. This training is primarily intended for ICPC officials and representatives of the various body controls and will count around thirty participants. 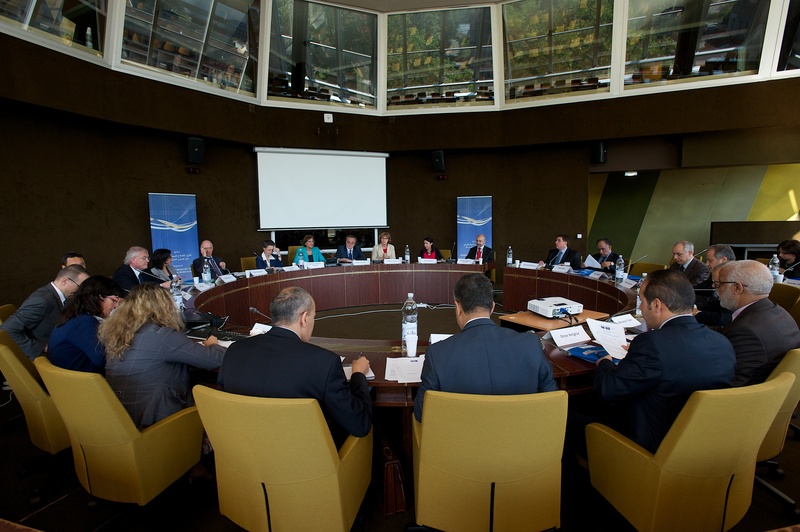 A delegation of the Tunisian Ministry of Justice, Human Rights and Transitional Justice visited the Council of Europe (CoE) on 7-8 October 2014, in the framework of the South Programme. The visit was an opportunity for Tunisian representatives to attend various presentations of CoE’s specific bodies and instruments of co-operation, involved in the fight against trafficking in human beings. During these meetings, the ongoing co-operation between Tunisia and the CoE (2012-2014) was presented as well as the co-operation priorities for Tunisia for the period 2015-2017, in the framework of the South Programme. The Council of Europe Convention on Action against Trafficking in Human Beings was also presented in detail to the participants. During this visit the specific needs of Tunisia, the future actions and possible areas of co-operation in the fight against trafficking in human beings were discussed. Finally, the visit was an opportunity for the Tunisian delegation to attend a hearing before the Grand Chamber of the European Court of Human Rights. The 2014 Lisbon Forum of the Council of Europe's North-South Centre will focus on free and fair elections as a key condition for successful democracy. The Forum, which will take place in Lisbon, on 15-16 September 2014, will gather together members of Governments, Parliaments, local and regional authorities, civil society, as well as international election observers, legal experts and electoral officials from European, Southern Mediterranean and other countries to debate on themes such as ethical issues related to financing political parties and funding electoral campaigns, making elections more transparent to the public, and the role civil society can play in observing elections. The Forum will be chaired by Mr. Fayçal Gouiaa, Tunisian Secretary of State for Foreign Affairs. As for the 2012 and 2013 editions, the 2014 Lisbon Forum will be held in the framework of the Joint Programme “Strengthening democratic reform in the Southern Neighbourhood” (South Programme), funded by the European Union and implemented by the Council of Europe. A wide range of partners – see programme – will contribute to this event. An information seminar on the European Committee for the prevention of torture and inhuman or degrading treatments or punishments (CPT) will take place in Tunis, on 4- 5 September 2014. The seminar is organised in the framework of the Programme “Strengthening democratic reform in the Southern Neighbouhrood” (South Programme), funded by the European Union and implemented by the Council of Europe. It will provide the opportunity to analyse the situation in Tunisia with regard to the prevention of torture, in the light of the standards and working methods of the CPT implemented in Council of Europe’s member States. The seminar will gather together members and experts of the CPT, Tunisian officials and experts, as well as representatives of public institutions, international organisations, Parliamentarians, civil society organisations and media. The seminar, organised by the Ministry of Justice, Human Rights and Transitional Justice and the Council of Europe will be built around four fundamental issues related to prisons, healthcare in prisons, police stations and compulsory psychiatric treatment. Mr. Hafedh Ben Salah, Minister of Justice, Human Rights and Transitional Justice and Mr. Lətif Hüseynov, Chair of the CPT. An information seminar on the CPT will also be organised in Rabat, on 8-9 September. The Deputy Secretary General of the Council of Europe, Mrs. Gabriella Battaini Dragoni and the Deputy Director General and Legal Adviser at the Ministry of Foreign Affairs (Israel), Mr. Ehud Keinan, will open in Jerusalem a seminar on Conventions of the Council of Europe. This event will take place within the framework of the South Programme on 7 and 8 July 2014, with the participation of representatives from the Ministry of Foreign Affairs and of line Ministries. This event will allow experts of Israel to exchange views with European experts regarding the content of Council of Europe Conventions in key areas. According to the needs expressed by partner countries, other seminars will be organised within the framework of this programme, with the aim to progressively create a common legal area with the European continent. A national seminar on the democratic participation of young people in Morocco is being held in Rabat from 25 to 28 June 2014 with the support of the EU/CoE joint programme “Strengthening democratic reform in the southern Neighbourhood” (South Programme), funded by the European Union and implemented by the Council of Europe. 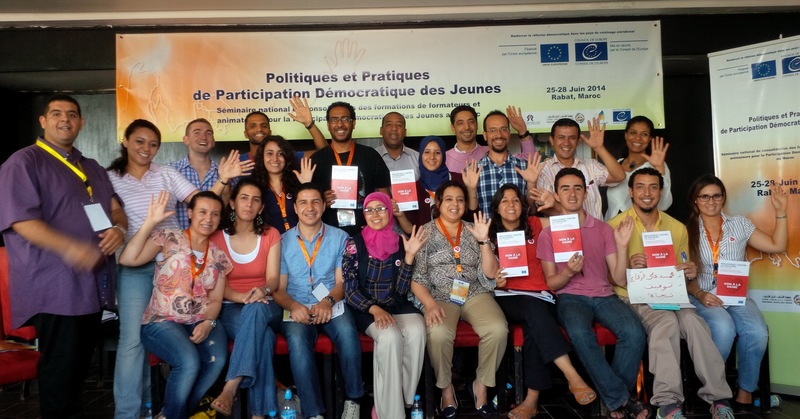 The Council of Europe launched in March 2013 a training and support project for democratic participation of young people in Algeria, Morocco and Tunisia. This training aims to promote democratic values ​​and contributes to strengthening and protecting human rights in the programmes and activities for young people run by public organisations or youth services. This seminar is intended primarily for participants in the training of trainers held in Rabat in April 2013 (6-14 April 2013) and participants in the training and educational skills consolidation seminar organised in Budapest (29 November to 6 December 2013). It will also be an opportunity for stakeholders in the youth project to establish connections and build alliances with other partners working on the same subject. 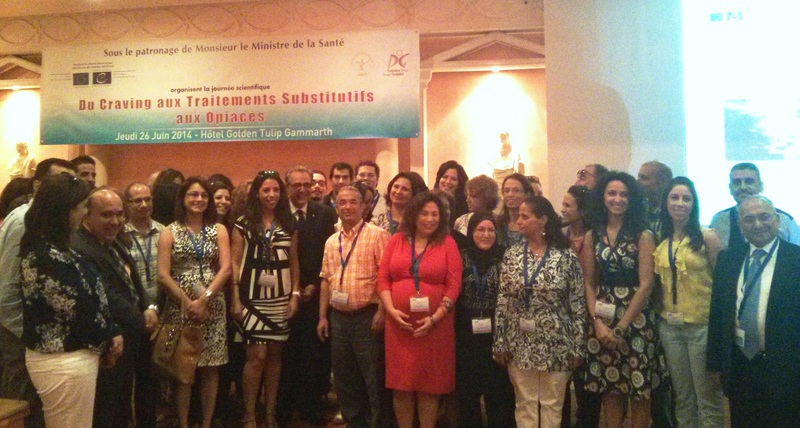 A prevention of addictions seminar entitled “From craving to the treatment of opioid substitution” was held on 26 June 2014 in Tunis In the framework of the United Nations International Day against Drug Abuse and Illicit Trafficking, with the support of the EU/CoE joint programme “Strengthening democratic reform in the southern Neighbourhood” (South Programme), funded by the European Union and implemented by the Council of Europe. About 120 people, bringing together the first class of Tunisian addictologists as well as psychiatrists, prison doctors, toxicologists, infectious diseases specialists and other members of civil society, attend this event. The event was organised around a number of themes, including substitution treatment, female alcoholism and craving. It was also the occasion for the future practitioners enrolled in the certificate of advanced studies in addictology – delivered by the Tunis Faculty of Medicine and supported by the South Programme – to receive their diplomas. A seminar on the internal rules of the National Agency to fight against corruption (INLUCC) took place on 24 and 25 June 2014 in Tunis. The seminar was organised in the margin of the meeting of the INLUCC Council where these rules were discussed. This event was an opportunity for the CoE experts and INLUCC’s Administration to present to the members of the INLUCC Council the draft internal rules and code of ethics. These activities were followed the next day by a meeting on the preparation of the law organising the future Tunisian national anti-corruption authority. These events were organised in the framework of the EU/CoE joint programme “Strengthening democratic reform in the southern Neighbourhood” (South Programme), funded by the European Union and implemented by the Council of Europe. Representatives of the Moroccan and Tunisian Schools of Political Studies (SPS) will participate in the first international SPS Alumni Seminar which will take place in Strasbourg on 19 and 20 June 2014. Their participation is funded by the EU/CoE joint programme “Strengthening democratic reform in the southern Neighbourhood” (South Programme), financed by the European Union and implemented by the Council of Europe. The Seminar will bring together about 40 outstanding alumni from different Schools and different annual cycles. Participants will explore the theme “Harnessing young people’s potential for building a democratic future”, thereby offering input to the forthcoming World Forum for Democracy devoted to youth participation. The alumni meeting will look at ways how to respond to the marginalisation of today’s young generation and ask if young people can define their own set of common values for the future. The seminar will also provide an opportunity to exchange ideas on how to develop and strengthen the SPS Alumni Network, which aspires to become a steadfast long–term partner of the Council of Europe. Seminar on “The functioning of the parliamentary system: The roles of the opposition and the majority” organised by the Parliamentary Assembly of the Council of Europe (PACE) and hosted by the Parliament of Morocco will be held on 19 June in Rabat. The seminar will provide an opportunity for Moroccan Parliamentarians and members of the PACE to exchange views. The discussions will focus on the role of the opposition and of the majority in the democratic parliamentary systems. The seminar will present various European legal models and practices and their possible relevance to the Moroccan Parliament. This event will bring together members of the Moroccan Parliament of both Chambers (Chamber of Representatives and Chamber of Councillors), members of the PACE and an expert from the Venice Commission of the Council of Europe. The seminar is organised in the framework of the EU/CoE joint programme “Strengthening democratic reform in the southern Neighbourhood” (South Programme), financed by the European Union and implemented by the Council of Europe. A national consolidation seminar for training of trainers and facilitators to promote democratic youth participation in Algeria and Tunisia on "Policies and Practices of Democratic Youth Participation” will be organised in Hammamet from 6 to 9 June 2014. This event, funded by the European Union - Council of Europe Joint Programme “Strengthening democratic reform in the Southern Neighbourhood" (South Programme), is organised on the occasion of the 2nd edition of the Mediterranean University on Youth and Global Citizenship. The seminar is intended primarily for participants in the training of trainers held in Rabat in April 2013 in framework of the South Programme. It aims at favouring the exchange of knowledge on democratic youth participation, the sharing and the development of initiatives from youth leaders, NGOs and trainers in Tunisia and Algeria in this area. A second seminar for Moroccan youth trainers and leaders will be held in Morocco from 25 to 28 June 2014. 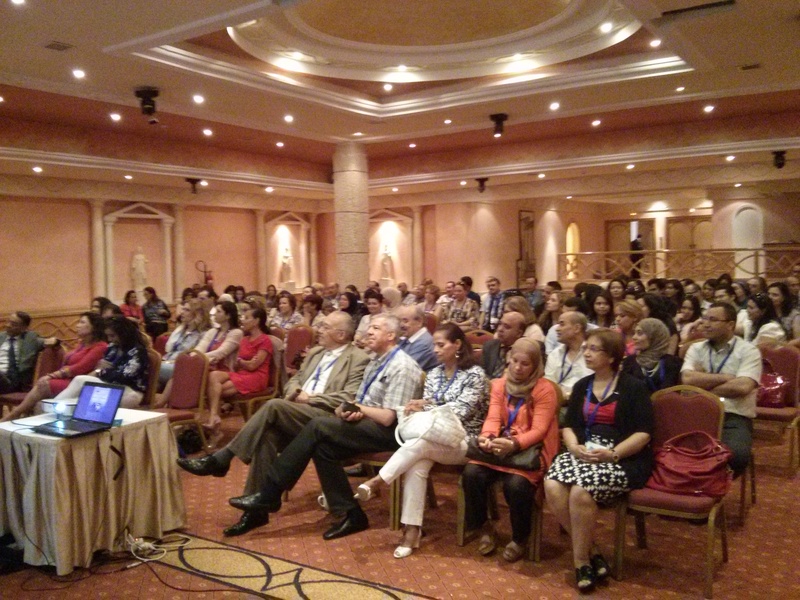 The Summer Academy for strengthening democracy through cultural diplomacy, organised by the Bulgarian School of Politics, is taking place in Sofia from 4 to 8 June 2014. This event gives to the participants from the Moroccan, Tunisian and Bulgarian schools, the opportunity to share their experiences, their expertise and ideas. These exchanges will contribute to improving the skills and knowledge of the participants and enabling them to adopt best practices in the field of democratic development. The topics covered include the foreign policy of the EU, the role of public opinion in the political process, the representation of women in institutions, the relation between new information technologies and democracy. 13th Training session of collaborators of the Mediators (Ombdusmen) Members of the Association des Ombudsmans Médiateurs de la Francophonie (AOMF) will take place in Rabat from 27 to 29 May 2014. The general topic of the session will be "Self-referral: methods and impact". The Venice Commission contributes to this training session organised by the President of AOMF and the Mediator Institution of the Kingdom of Morocco. This contribution is funded in the framework of the joint programme between the European Union and the Council of Europe "Strengthening democratic reform in the Southern Neighbourhood" (South Programme). Two delegations of experts of the European Commission for the Efficiency of Justice (CEPEJ) are on a mission to Morocco (26-29 May 2014) and Tunisia (26 to 28 May 2014). The visits carried out by the CEPEJ are organised in the framework of the European Union – Council of Europe Joint Programme "Strengthening democratic reform in the southern Neighbourhood (South Programme). In Morocco the objective of the mission is to discuss with the Ministry of Justice and Freedom the launching of satisfaction surveys, to obtain feedback on the training programme for CEPEJ Moroccan trainers which took place in Morocco in November 2013 in co-operation with the High Institute of the Judiciary and the Ministry of Justice and to discuss organisation of a new training session. It is also foreseen to discuss the implementation of simplified notification procedures and to envisage implementation of procedures enabling to improve the efficiency in the enforcement of decisions of the administrative courts. The update of the statistical data furnished by the Moroccan authorities concerning the functioning of the judicial system will also be on the agenda of the visit. In Tunisia CEPEJ is organising a training session for magistrates and lawyers on “alternatives to proceedings and negotiated procedures” on 26 May 2014 in Tunis. During their mission, the CEPEJ experts will meet representatives from the National Order of Tunisian Lawyers and from the CEPEJ pilot courts (Court of Cassation, First Instance Courts of Tunis and Zaghouan and the District Court of Zaghouan) in order to take stock on the CEPEJ co-operation activities underway. CEPEJ delegation will also pay a visit to the First Instance Court of Nabeul, which has expressed interest to be involved in co-operation activities with CEPEJ. An exchange of views with the Minister of Justice, Human Rights and Transitional Justice of Tunisia, Mr Hafedh Ben Salah is also foreseen. On 7 May 2014 a regional conference on “Freedom of religion or belief in the Middle East and the Southern Mediterranean: the situation and safety of Christian communities” will be held in Athens. This conference will be an opportunity to discuss the freedom of religion or belief, including the situation of Christian minorities in the region. 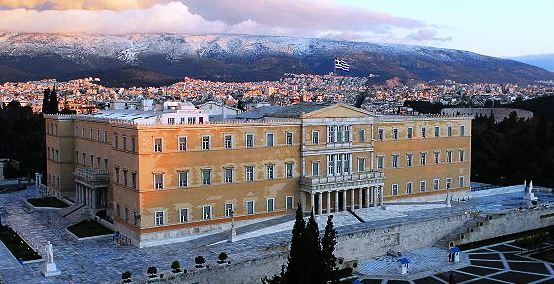 It will bring together many personalities including the President of The Parliamentary Assembly of the Council of Europe (PACE) and the Speaker of the Hellenic Parliament, the Minister of Education and Religious Affairs, religious leaders and academics. This event will allow the different actors to engage in an open discussion on this crucial issue for the region. Representatives of the Parliaments of Algeria, Israel, Jordan, Lebanon, Morocco, of the National Constituent Assembly of Tunisia, and of the Palestinian National Council as well as representatives from Egypt will participate in the debate. This conference is organised by PACE in cooperation with the Hellenic Parliament, within the framework of the joint programme between the European Union and the Council of Europe "Strengthening democratic reform in the Southern Neighbourhood" (South Programme). Representatives of the Human Rights Committee of the League of Arab States are visiting the Council of Europe from 5 to 7 May. This event, organised with the support of the joint programme between the European Union and the Council of Europe "Strengthening democratic reform in the Southern Neighbourhood" (South Programme), is an opportunity for them to learn more about CoE tools and become familiar with specific bodies and instruments in areas such as democracy and human rights. The programme of the visit includes a presentation of the South Programme and CoE conventions in the fields of corruption, the fight against trafficking in human beings and women and children’s rights. This visit provides also an occasion for the participants to deepen their knowledge of the structure and functioning of the European Court of Human Rights. A presentation of specific tools of the Directorate General Human Rights and Rule of Law of the Council of Europe (DGI) and of the Venice Commission are also planned. 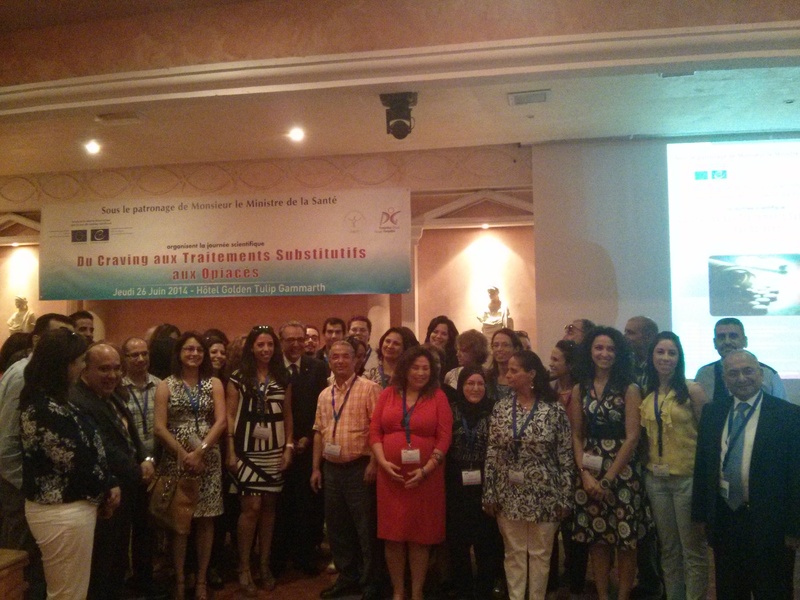 An International Conference on the Fight against Trafficking in Human Beings “Diverse responses to a multifaceted phenomenon” takes place on 15 and 16 April 2014 in Tunis. This event is organised by the Council of Europe and the International Organisation for Migration (IOM), in partnership with the Ministry of Justice, Human Rights and Transitional Justice. About one hundred participants attend the meeting, including high officials from countries of the region, public institutions, international organisations, Parliaments, professional networks and civil society such as the media, trade unions and universities. This meeting examines the situation and the challenges specific to North Africa by discussing different mechanisms, standards, good practices and difficulties around the 4Ps: prevention, protection, prosecution and partnership, through relevant practical experiences. The meeting of the SATURN Centre (Study and Analysis of judicial Time Use Research Network) for judicial time management takes place in Strasbourg on 10 and 11 April 2014, Agora Building, to examine the comments and implementation examples of the guidelines for judicial time management as well as the definition of targets for judicial timeframes. Representatives of the Ministry of Justice of Jordan assist to this meeting, in the framework of the Council of Europe – European Union Joint Programme entitled “Support to the Jordanian authorities in improving the quality and efficiency of the Jordanian justice system“ as well as representatives from the Ministry of Justice and freedom of Morocco, in the framework of the Joint Programme entitled "Strengthening democratic reform in the southern Neighbourhood", financed by the European Union and implemented by the Council of Europe. The Training Academy on democratic governance for young professionals of the South of the Mediterranean is holding its first session in Venice from 5 to 13 April 2014. Jointly organised by the EIUC (European Inter-University Centre for Human Rights and Democratisation), the VIU (Venice International University) and the Council of Europe with the support of the European Union and Norway, this pilot project targets around thirty young professionals from Morocco, Tunisia and Algeria. Participants are mostly public institutions’ employees directly involved in the implementation of projects such as the Joint Programme between the European Union and the Council of Europe "Strengthening democratic reform in the Southern Neighbourhood" (South Programme) and the regional programme on violence against women including children, funded by Norway, both implemented with the aim of strengthening human rights, rule of law and democracy. The Academy’s objective is to enable participants to deepen their knowledge and to acquire solid skills in the field of human rights, good governance and the rule of law. Participants will then be able to act as “multipliers” of the acquired skills. The training programme also includes the presentation of key CoE conventions supporting the strategic objectives of the two above-mentioned programmes. 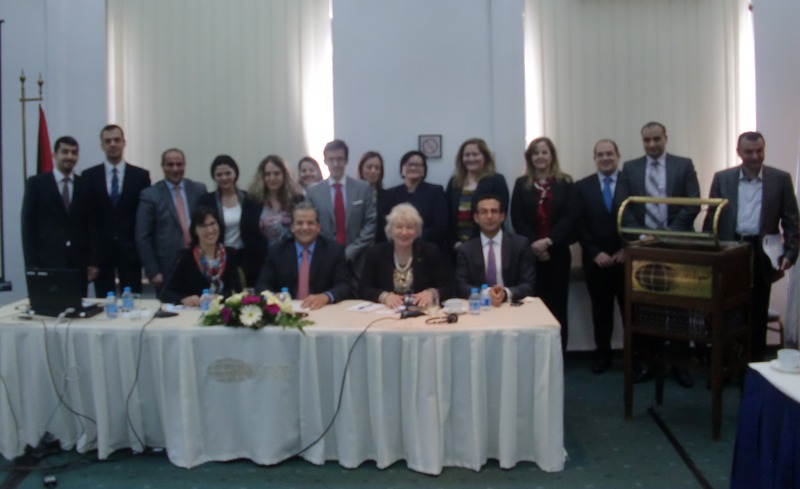 A seminar was organised in Amman on the 3rd of April 2014 by the Council of Europe to present to high representatives of the Jordanian authorities several key CoE conventions open to non-member states. The seminar, opened by the Deputy Secretary General of the CoE, was held at the Jordan Institute of Diplomacy in the presence and gathered Jordanian representatives from various ministries and Government bodies, such as the Ministry of Foreign Affairs, the Ministry of Justice, of the police, the Anti-Corruption Commission and the National Centre for Human Rights, as well as representatives of the European Union Delegation to Jordan. This seminar was an opportunity for the Jordanian authorities to familiarise themselves with CoE conventions on topics such as the fight against corruption, children's rights, domestic violence, and prevention of terrorism, cybercrime and the counterfeiting of medical products. This event is part of the efforts to gradually build a common legal space between Europe and countries of the Southern Mediterranean region. This seminar was organised within the framework of a joint programme between the EU and the CdE “Strengthening democratic reform in the southern Neighbourhood” and the Norwegian-funded regional programme on violence against women including children. In the framework of the European Union - Council of Europe Joint Programme "Strengthening democratic reform in the southern Neighbourhood" (South Programme), six justice professionals and officials from the First Instance court of Tunis carried out a study visit to the Regional Court of Avignon on 31 March and 1 April 2014 on based on a programme drawn up by the President of the Court, Mr Gilles Accomando. On this occasion, the Tunisian delegation explored the daily functioning of management techniques recommended in the project sheets drafted with the CEPEJ experts in the framework of the above-mentioned Joint Programme: the registration and preparation of civil cases for trial, the registration and flow of criminal cases, and the preparation and use of scoreboards. A Conference-debate, open to justice professionals, officials and lawyers, was held on the theme “Transformation of justice systems in Europe: a comparative approach” by Mr Jean-Paul Jean, President of the CEPEJ Working Group on the Evaluation of Judicial Systems. 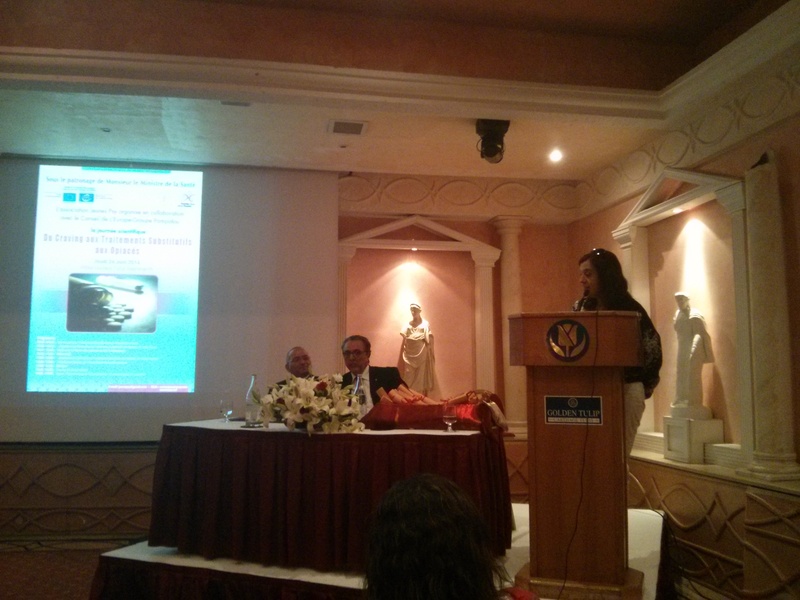 Two seminars on the Protection of personal data took place on 18 March 2014 in Tunis and on 20-21 March 2014 in Rabat. 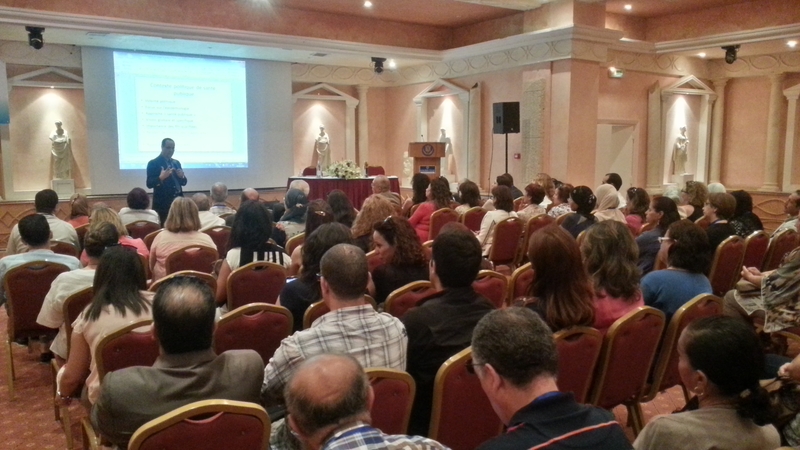 The Seminar in Tunis was initiated by the National Authority for the Protection of Personal Data, founded in 2004. This event was an opportunity to present the Convention for the protection of individuals with regard to the automatic processing of personal data. Discussions focused on the protection of personal data and its relation to freedom of expression and the right of access to information. Through the study of legal frameworks and practical experiences of other countries of the Council of Europe, the meeting aimed at providing elements to strengthen the regulatory and institutional framework of the right to the protection of personal data. 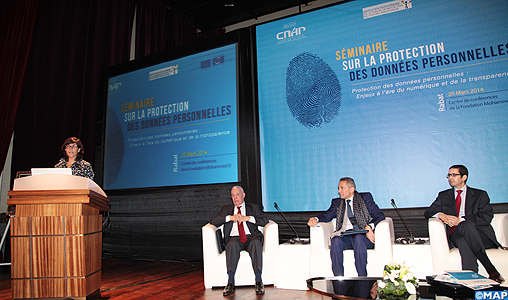 The Seminar in Rabat was co-ordinated by the National Commission for the Control of the Protection of personal data (CNDP), created in 2009. This event highlighted the importance of issues such as the protection of privacy, the relation between the right to data protection, freedom of expression, respect for human rights and the right of access to information. At the end of the session, the participants put forward a number of recommendations, such as the implementation of an integrated national strategy in collaboration with international partners, the creation of a group of international authorities which deal with the personal data protection in order to carry out concerted action to enforce the respect for privacy in the world and finally the continued cooperation between Morocco and the CoE to strengthen the protection of personal data. The second Steering Committee meeting of the EU/CoE Joint Programme “Strengthening democratic reform in the Southern Neighbourhood” (South Programme) took place in Strasbourg on 17-18 March 2014. This event brought together representatives from Morocco, Tunisia, Algeria, Jordan, Israel, the EU and the CoE, as well as members of civil society from Egypt, Libya, Morocco and Tunisia, in order to take stock of and exchange views on the activities carried out so far and to approve the proposals of activities planned during the last year of implementation of the South Programme, which will end in December 2014. The participants highlighted the main achievements of the Programme, and the support that it provides to partner countries.They welcomed the co-operation between the Parliamentary Assembly of the CoE and the Moroccan Parliament, the support provided to several countries of the region by the Venice Commission in its areas of competence, as well as the activities carried out by the CEPEJ in Morocco and Tunisia. They also underlined the role of the Schools of Political Studies in Tunis and Rabat, now fully operational, as well as the actions carried out to combat trafficking in human beings and corruption. Different initiatives to promote the exchange of experiences and the establishment of networks between Southern Mediterranean countries were also commended, including the Lisbon Forum 2013 and activities in the youth sector. Finally, the participants expressed their satisfaction with the activities supported by the Pompidou Group to prevent and combat drug addiction. These discussions highlighted the South Programme’s relevance and sustainability, as well as efficiency in its implementation. In the framework of the constructive exchanges which took place, suggestions were put forward to improve the implementation of the final phase of the programme, including the wish to support co-operation activities through high-level political dialogue and to further strengthen synergies among the different components of the Programme and to continue strengthening South-South co-operation. Finally, the participants stressed that the Programme should remain flexible, in order to continue providing relevant and prompt replies to the demands of partner countries. In the framework of the Programme “Strengthening democratic reform in the Southern Neighbourhood” (South Programme), funded by the European Union and implemented by the Council of Europe, the Council of Europe organises a Conference to present the assessment report of the Moroccan institutional and legal anti-corruption framework, on 19 February 2014 in Rabat.. The conclusions and recommendations of the report were presented to high-level representatives of Moroccan institutions, civil society, diplomatic community and media. The aim of the report is to assess the compliance of the current framework with international standards on fight against corruption, notably CoE standards, and contributing to strengthening institutional capacities and suggesting reforms of the regulatory framework against corruption. On 6 February 2014 in Paris, a second exchange of views between the Directorate of Law at the Ministry of Justice and Freedoms of Morocco and a delegation of experts from the CEPEJ, the CCJE and the Venice Commission, allowed to continue detailed discussions on the two drafts organic laws on the Higher Council of Judicial Power and on the status of judges and on European reference standards. A first meeting had taken place in Rabat on 8 January 2014. This activity was organised within the framework of the EU/CoE programme “Strengthening democratic reform in the southern Neighbourhood” (South Programme), financed by European Union and implemented by the Council of Europe. On 3- 7 February 2014, the Council of Europe and the International Center for Migration Policy Development (ICMPD) organised a study visit for the representatives of Moroccan institutions and organisations involved in the fight against trafficking in human beings and in the protection of victims. This activity was organised within the framework of the EU/CoE programme “Strengthening democratic reform in the southern Neighbourhood” (South Programme) in co-operation with the programme “Migration EU eXpertise – MIEUX”. This study visit enabled the representatives, among other things, to become acquainted with the systems of protection and care of victims of trafficking in France and Belgium, to meet experts from the GRETA (Group of Experts on Action against Trafficking in Human Beings) and to learn more about the Council of Europe Convention on Action against Trafficking in Human Beings. 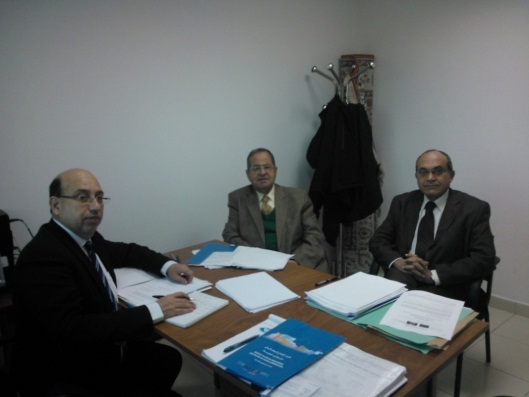 Within the framework of support to Tunisian good governance and anti-corruption units, a working visit to Tunis by Council of Europe experts took place from 16 – 18 December 2013. This activity was part of the risk analysis of the State’s Property Management, carried out in the framework of the EU/CoE Programme "Strengthening democratic reform in the southern Neighbourhood" (South Programme). The experts met with key interlocutors in such institutions as the National Anti-corruption Authority, the Controller and Auditor General, the Ministry for State’s Property, and the High Committee for Administrative and Financial Control. 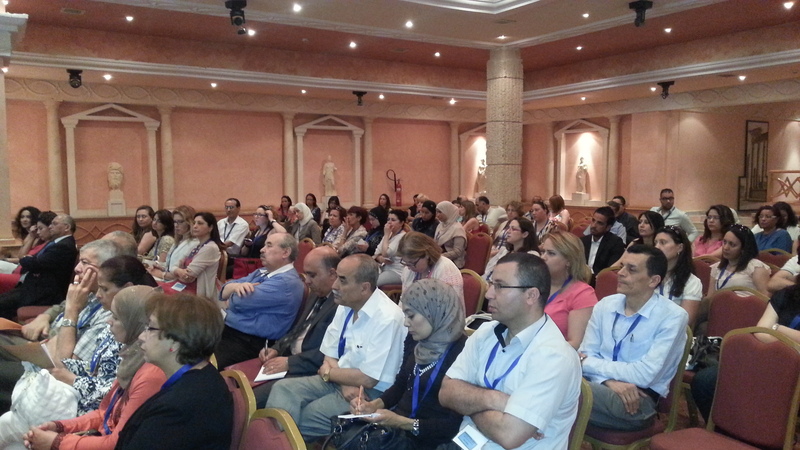 The experts will be again in Tunisia to continue their work in January 2014. On 28 November 2013, in Rabat, the Council of Europe, in partnership with the European Union Delegation to Morocco, has organised a round table of international actors dealing with fight against trafficking in human beings in Morocco. The aim of this meeting has been to exchange views on the current situation, present the activities implemented by the international community, as well as consider potential synergies and avenues for co-operation. Representatives from international organisations (EU, CoE, ICMPD, UNICEF, UNHCR, UNWOMEN, IOM), as well as from diplomatic missions (Belgium, Denmark, Spain, Finland, Norway and Switzerland) have attended. This event has been organised in the framework of the EU/CoE Programme “Strengthening democratic reform in the southern Neighbourhood” (South Programme), financed by the European Union and implemented by the Council of Europe. On 21 November 2013, the draft report on the Moroccan legislative anti-corruption framework was discussed by representatives from Moroccan anti-corruption authorities and institutions and Council of Europe experts, on the occasion of a working seminar in Paris. This event took place in the framework of the EU/CoE Programme “Strengthening democratic reform in the southern Neighbourhood”, funded by the European Union and implemented by the Council of Europe. The draft report is part of the assessment process of the Moroccan legal and institutional anti-corruption framework, launched in July 2013. It was drafted on the basis of the replies to the questionnaire on the assessment of the anti-corruption framework and the information received during the visit to Morocco at the end of September 2013, where Council of Europe experts interviewed relevant Moroccan stakeholders. The meeting in Paris allowed for an in-depth discussion and exchange of views on the draft report and the recommendations included in it. The report is expected to be finalised by the first quarter of 2014. A CEPEJ group of experts is carrying out a visit to Morocco from 11 to 15 November 2013, in the framework of the EU/CoE Programme “Strengthening democratic reform in the southern Neighbourhood” (South Programme), funded by the European Union and implemented by the Council of Europe. During the visit, the experts will meet the representatives of the Ministry of Justice and Freedoms, the Presidents of the Moroccan pilot courts (Agadir, Casablanca and Sidi Kacem), as well as the representatives of international institutions involved in the process of reforming the Moroccan judicial system. Two training sessions for Moroccan trainers on the use of CEPEJ tools on judicial statistics, reasonable timeframes and quality indicators will also be organised respectively in Marrakech and Rabat. In the framework of a satisfaction survey at the Court of Casablanca, a pilot activity will be carried out on 14 November. A round table on optimising the notification of judicial acts under the responsibility of the Court of Sidi Kacem will take place on 15 November with the participation of the Minister of Justice, Mr Mustapha Ramid. As part of the joint Council of Europe/Europen Union programme “Strengthening democratic reform in the southern neighbourhood” (South programme), the Parliamentary Assembly of the Council of Europe (PACE) organises a conference on “The role of representative institutions in the political changes in the South Mediterranean and the Middle East “, at the Ismaili Centre in Lisbon (Portugal) on 8 November. The hundred or so participants attending the conference include the Speakers and representatives of the parliaments of Algeria, Jordan, Lebanon, Morocco, the National Constituent Assembly of Tunisia, the Palestinian National Council, representatives of the political forces in Egypt and members of the PACE Political Affairs Committee. The working sessions will focus on the challenges of transition and national experiences, partnership for democracy with the PACE as a platform for interparliamentary co-operation, and the contribution of the Council of Europe’s Venice Commission to constitutional and legal reforms. The Tunisian School of Political Studies, in co-operation with its Moroccan partner School, is organising a regional seminar, funded through the South Programme. The seminar will take place in Hammamet, Tunisia, from 11-12 November 2013, and will analyse the current political situation in the region and its evolution over the last couple of years. Alongside participants from the two Schools, the conference will bring together renowned academics and experts in the fields of political science and human rights, as well as civil society activists, from Tunisia, Morocco, Algeria, Egypt, Libya, Mauritania and Jordan. At the heart of the discussions will be constitutional reform, current challenges to the democratic transition, the role of civil society in helping strengthen democracy in the region, civil rights and liberties, including women’s rights, and the freedom of expression and information. This seminar is the first in a series of planned events by the Tunisian and Moroccan Schools to contribute to strengthen the regional dimension of the South Programme. As countries in the southern Mediterranean forge paths to democracy the role of civil society is more important than ever. The Lisbon Forum 2013 – “Valuing civil society as actor of governance: Perspectives for the southern Mediterranean” – brings together members of civil society with governments, parliaments and local and regional authorities from both shores of the Mediterranean to assess how inclusive democracy in southern Mediterranean countries can be consolidated. The Council of Europe’s North-South Centre is organising the forum, which is open to the press, on 6-7 November. The forum takes place within the framework of the joint European Union/Council of Europe programme: “Strengthening democratic reform in the southern Neighbourhood”, funded by the European Union and implemented by the Council of Europe. Mr. Bernardino León, European Union Special Representative for the Southern Mediterranean region, will chair the Forum. The Anna Lindh Foundation, the International Institute for Democracy and Electoral Assistance (IDEA) and the Aga Khan Development Network are also co-organisers. Within the framework of the EU/CoE Programme “Strengthening democratic reform in the southern Neighbourhood” (South Programme), a visit by a team of experts was organised in Morocco from 30 September to 4 October 2013. The visit was carried out in the framework of the assessment of the legal and institutional anti-corruption framework of Morocco. The experts held discussions and exchanges with national stakeholders, including governmental representatives, law enforcement agencies, Parliamentary representatives and civil society. Within the framework of the EU/CoE Programme “Strengthening democratic reform in the southern Neighbourhood” (South Programme), delegations from Morocco and Tunisia attended the meetings of the CEPEJ network of pilot courts (Strasbourg, 26 September 2013) and of the SATURN group on judicial time management (Strasbourg, 25 - 27 September 2013). 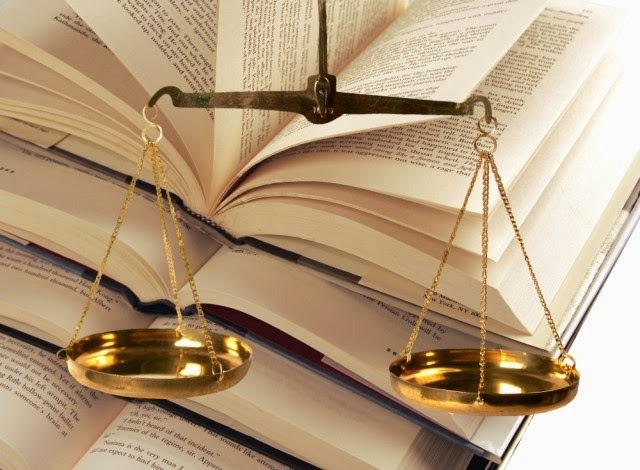 The co-operation with Morocco and Tunisia in the judicial field aims at enhancing the independence and efficiency of the judicial system by, among other things, improving Courts’ performance. A specific part of the SATURN meeting focused on bilateral co-operation between CEPEJ and Morocco and, notably, to the activities which will be held in the framework of the South Programme. Furthermore, the SATURN group discussed contents and modalities of implementation of the training-for-trainers on CEPEJ tools, which will start in November 2013, as well as the implementation of a satisfaction survey. A representative of the Moroccan Ministry of Justice delivered a presentation on the Charter of the reform of the judicial system (published in July 2013), which is the result of the work of the Highest Authority of the National Dialogue on Judicial Reform. A group of students of the Schools of Political Studies of Tunis and Rabat have attended the 44th Annual Study Session in International and Comparative Law of Human Rights, which has been organised by the International Institute of Human Rights (IIDH) in Strasbourg, from 8 – 26 July 2013. Both the South Programme and the Council of Europe’s programme of the Schools of Political Studies have sponsored the participation of this group. In addition to the study session at the IIDH, the representatives of the two Schools have also effected a two-day study visit at the Council of Europe, with a focus on the democratic developments and the Organisation’s cooperation with the countries of South Mediterranean. The Council of Europe has launched today, 10 July 2013, in Rabat, the process of assessment of the legal and institutional anti-corruption framework of Morocco. This process is based on the GRECO methodology, and is conducted by a team of experts in the country who have been appointed by both the Council of Europe and the Moroccan authorities. A draft assessment report will be eventually discussed with the Instance Centrale de Prévention de la Corruption (ICPC), the other competent public institutions as well as civil society representatives. The results of this assessment will enable to fine tune the activities in the area of fight against corruption and money laundering, which will be carried out in the second phase of implementation of the South Programme. 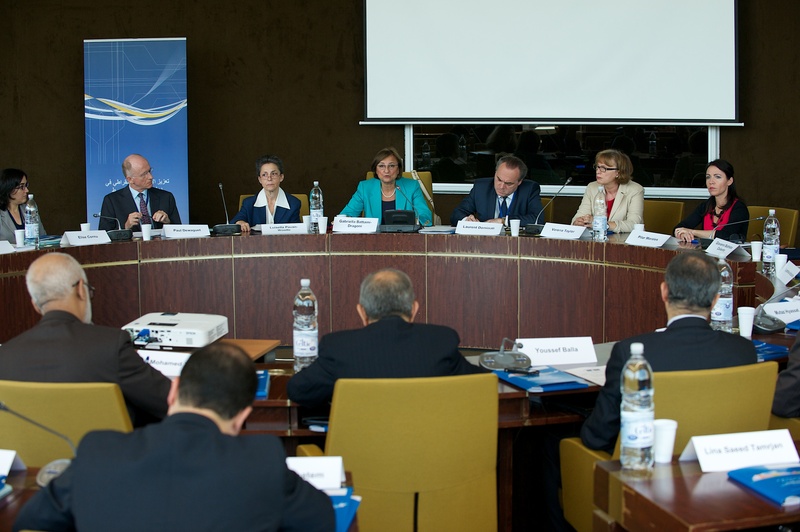 Within the framework of the South Programme, the CEPEJ has organised a round table on “Efficient task management at the Court of Cassation and acceleration of the flow of procedures” in Geneva, on 4 July 2013. The President of the SATURN steering group on judicial time management, Mr Jacques Bühler and the President of the working group on quality of Justice, Mr François Paychère, as well as a Tunisian delegation led by M. Ridha Ben Amor, Prosecutor General at the Court of Cassation of Tunis have participated in the round table. 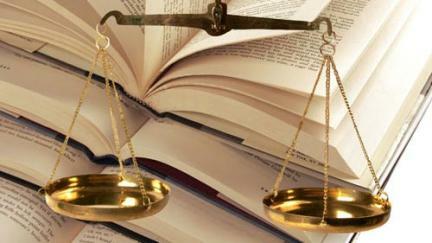 This event is part of a process aiming at drawing up an action plan for the Tunisian Court of Cassation in this field. The Deputy Secretary General of the Council of Europe, Mrs Gabriella Battaini Dragoni, officially opened today in Strasbourg an introductory regional seminar on Conventions and Partial Agreements of the Council of Europe. This event takes place within the framework of the Programme “Strengthening democratic reform in the southern Neighbourhood” (South Programme) on 1st July 2013: representatives from Morocco, Tunisia, Algeria and Jordan will attend. The main purpose of this event is to present in detail accession procedures to CoE Conventions and Partial Agreements by non-member States. According to the needs expressed by partner countries, other seminars will be organised within the framework of this Programme, with the aim to help these countries progressively join the common legal area with the European continent. Representatives from Morocco and Tunisia attended the 21st CEPEJ plenary meeting in Strasbourg on 20 and 21 June 2013. Among other things, the meeting offered the opportunity to report on progress made in the co-operation with Morocco and Tunisia to reinforce the efficiency and quality of the judiciary, carried out within the framework of the EU/CoE Programme “Strengthening democratic reform in the southern Neighbourhood” (South Programme). Within the framework of the South Programme, an information seminar on the European Institutions for officials from both Chambers of the Moroccan Parliament was organised in Brussels on 19 and 20 June 2013. The seminar provided the participants with important insights into the functioning of the European Institutions, particularly the European Parliament. 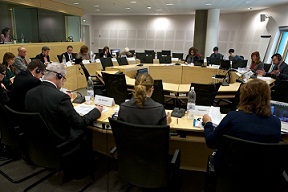 A working session at the Belgian Senate was also organised. The Directors of the Moroccan and Tunisian Schools of Political Studies participated in the meeting of the Directors of the Schools, held in Strasbourg on 13-14 June 2013. The meeting provided the opportunity to discuss recent developments in the Schools’ Network, future activities of the Schools and their participation in the World Forum for Democracy, which will be held in Strasbourg from 27 - 29 November 2013. Within the framework of the South Programme actions against corruption and money laundering, two activities took place respectively in Morocco and Tunisia. A workshop on the results of the corruption-related risks analysis in the sectors of transports and health was organised in Rabat on 13 June 2013. It provided the opportunity to present the results of the analysis, as well as CoE methodology in this area. An activity to strengthen the Good Governance and Anti-Corruption Units with a view to three major sectoral analyses (customs, tax authorities and real estate sector) took place in Tunis on 18 June 2013. Within the framework of the EU/CoE Programme “Strengthening democratic reform in the southern Neighbourhood” (South Programme), a group of CEPEJ experts visited Tunisia from 5 to 7 June 2013. The experts visited the regional and cantonal courts of of Zaghouan to study their functioning and, in particular, to examine the processing of cases and the file management system. Furthermore, they pursued their activities with the CEPEJ pilot courts, notably the Regional court of Tunis (TPI) and the Court of Cassation. They met members of the General Inspectorate to examine more closely the judicial data provided by the Tunisian authorities, as well as the Higher Institute of Magistrates. Finally a meeting took place with the newly appointed Minister of Justice of Tunisia, Mr Nadhir Ben Ammou. On 29 May 2013, the Committee of Ministers of the Council of Europe has accepted Morocco’s request for observer status at the European Commission for the Efficiency of Justice (CEPEJ). Since last year, the CEPEJ has been working closely with the Moroccan authorities to help evaluate how the country’s legal system works and provide guidance on reform, within the framework of the EU/CoE Programme “Strengthening democratic reform in the southern Neighbourhood” (South Programme). Within the framework of the South Programme activities, the Parliamentary Assembly of the Council of Europe (PACE), upon invitation of the Moroccan Parliament, organised a seminar on the popular legislative initiative (Rabat, 15 May 2013). The seminar allowed for an exchange of views between Moroccan parliamentarians and a PACE delegation on the popular legislative initiative, focusing, in particular, on different European legal models and practices and their possible relevance to the Moroccan Parliament. The Venice Commission and the Moroccan Association of Constitutional Law organise the 2nd Intercultural Workshop on Democracy on “The new constitutionalism in the Arab world: the process of constitution making in a changing environment” (Marrakech, 14-15 May 2013). This activity will bring together constitution drafters from Algeria, Egypt, Jordan, Libya, Mauritania, Morocco, Tunisia and Yemen who will exchange their experiences in the field of constitutional reform. Among other issues, they will compare the approaches used in launching the revision of their respective Constitutions, the procedure used for their elaboration and adoption and the implementation of the constitutional provisions through new legislation. The Venice Commission believes that such dialogue could be extremely useful not only for the countries involved, but for constitutionalists in general. This seminar is organised in the framework of the EU/CoE Programme « Strengthening democratic reform in the southern Neighbourhood », with a financial contribution from the Ministry of Foreign Affairs of Norway and Hanns - Seidel Foundation. On 25-26 April, a Council of Europe delegation will meet Moroccan authorities and civil society in the framework of the establishment of the Authority for Anti-discrimination and Fight against all Forms of Discrimination and the Advisory Council for Family and Childhood. This visit, which is funded through the EU-CoE Programme "Strengthening democratic reform in the southern Neighbourhood”, follows the request by Ms Hakkoui, Minister for Solidarity, Women, Family and Social Development, for assistance from the Venice Commission in the establishment of these two bodies. The delegation will participate in the meetings of the scientific committees created for this purpose, meet with the Ombudsman of the Kingdom and the National Council for Human Rights, as well as with representatives from civil society. An interview with Minister Hakkoui is also planned. Within the framework of the EU/CoE Programme “Strengthening democratic reform in the southern Neighbourhood”, a Tunisian delegation paid working visits to the national anti-corruption agencies of France, Slovenia and Croatia from 8 to 12 April 2013. The delegation - headed by Mr Samir Annabi, President of the Instance nationale de lutte contre la corruption (INLUCC)- was composed of representatives from INLUCC, the Ministry of Governance and Fight against Corruption, the General Control of Public Departments and civil society. The visit provided the opportunity to study the functioning of three agencies involved in the fight against corruption, identify good practices and share experiences on good governance and fight against corruption, as well as to develop the INLUCC international network in view of further co-operation. The Venice Commission contributed to the 11th training session for staff of Mediators members of the AOMF (“Association des Ombudsmans Médiateurs de la Francophonie”), which took place in Rabat, from 9 to 11 April 2013. The topic of the training was the “Processing of complaints and means of intervention by Mediators and Ombudsmen”. This activity is funded under the EU/CoE Programme "Strengthening democratic reform in the southern Neighbourhood”. Within the framework of the EU/CoE Programme “Strengthening democratic reform in the southern Neighbourhood", a group of CEPEJ experts will go to Morocco from 15 to 19 April. The delegation will meet representatives of the Ministry of Justice and will discuss the implementation of the recommendations formulated in the first CEPEJ evaluation report on the Moroccan judicial system. Specific activities to improve time management in courts and quality of justice services in the three pilot courts of Sidi Kacem, Casablanca and Agadir will also be agreed upon. One of the highlights of the visit will be the round table on the notification of judicial decisions, which will take place in Casablanca on 17-18 April. The round table will be opened by His Excellency, the Minister of Justice of the Kingdom of Morocco, Mustapha Ramid. Representatives from the Ministry of Justice of Morocco, the National College of bailiffs of Morocco, the Bar Association and Pilot courts will assist. The aim of this round table is to adopt measures to optimize notifications for the civil Court of first instance of Casablanca, notably through the identification of primary means of notification. An interregional seminar for youth research experts (8-10 April) and a training of trainers for democratic participation of young people (6-14 April) will take place in Morocco. A common opening session will be organised on Monday 8 April in Rabat, in the presence of Moroccan authorities and representatives from the EU and the CoE. Both activities are organised within the framework of the EU/CoE Programme “Strengthening democratic reform in the southern Neighbourhood”. Trainers and multipliers from youth organisations in Morocco, Tunisia and Algeria will attend the training course. The seminar on youth research will bring together experts from the region and European experts, in view of promoting a better understanding and knowledge about youth and its role as a resource in developing societies based on democracy and human rights. It will notably address the state of play of youth research and the status and challenges for democratic youth participation. In the framework of the EU/CoE Programme "Strengthening democratic reform in the southern Neighbourhood", the group of experts of the CEPEJ went to Tunis from 27 to 29 March 2013 in order to strengthen its evaluation of the Tunisian judicial system and its study of the processing of the cases brought before the courts and the state of computerisation of the judicial entities in the courts. The experts in particular held meetings with members of the Court of Cassation and the First instance Court of Tunis in order to convene together on the follow-up which should be given to this co-operation. The inauguration of the Citizens’ School of Political Studies of Morocco will take place on 14 March 2013 in Rabat. The inauguration ceremony will be followed by a conference on the theme “Challenges and limits of deliberative democracy”. The Citizens’ School of Political Studies, the second such School in a non-member State of the CoE, was created with the financial support of the EU/CoE Programme “Strengthening democratic reform in the southern Neighbourhood”. During the inaugural event, the Programme of activities for 2013 will be presented. 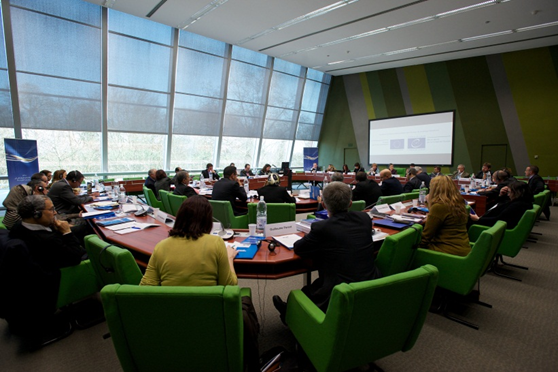 On 13 and 14 March 2013, the Committee on Political Affairs and Democracy of the Parliamentary Assembly of the Council of Europe (PACE) will meet in Rabat. The main point of the agenda will be to assess the co-operation with the Parliament of Morocco, within the framework of the Partner for Democracy Status. A broader overview on CoE co-operation with Morocco, including the activities carried out within the framework of the EU/CoE Programme “Strengthening democratic reform in the southern Neighbourhood”, will be provided during the meeting. On 13-14 March 2013, a symposium on “Together for a reform of the justice that takes into account applicable international standards" will be held in Tunis, in the framework of the “Days of dialogue and reflection on the independence of the judiciary in Tunisia to the edge of the adoption of the Constitution”. The participation of representatives from the Venice Commission and experts from the Consultative Council of European Judges (CCJE) and Consultative Council of European Prosecutors (CCPE) is financially supported by the EU/CoE Programme “Strengthening democratic reform in the southern Neighbourhood”. The themes of the symposium concern the reform of the judiciary in Tunisia and, more specifically, the legal framework for the independence of the judiciary in Tunisia and the state of play of the reform of the judiciary in Tunisia since the revolution. The debate will also address the next steps necessary to ensure a rapid reform of the framework for the functioning of justice. The first Steering Committee meeting of the EU/CoE Programme “Strengthening democratic reform in the southern Neighbourhood” (South Programme) took place in Paris on 5 February 2013. Representatives from partner countries (notably Morocco, Tunisia, Jordan, Israel and Palestinian National Authority), the EU and the CoE gathered together to assess the results of the first year of implementation of the Programme and to discuss proposed activities for the next two years. The participants constructively exchanged on the actions and achievements in the fields of justice reform, good governance and the developments related to the fight against trafficking in human beings for Morocco and Tunisia. They also emphasized the progress made within the framework of the component “promotion of democratic values”, which is based on a regional approach. Among the first tangible results, the meeting welcomed the production of a first CEPEJ report on the efficiency of justice in Morocco and the launching of a similar exercise in Tunisia; the recent inauguration of the School of Political Studies in Tunisia - the first such School in a non-member State of the CoE –; the work of the Venice Commission and the Parliamentary Assembly of the Council of Europe to support the consolidation of new legislation and institutions. The inauguration of the Tunisian School of Political Studies will take place on 8 January 2013 in Tunis, in the presence of the Deputy Secretary General of the Council of Europe, Ms Gabriella Battaini-Dragoni. The new School, which was created with the financial support of the EU/CoE Programme "Strengthening democratic reform in the southern Neighbourhood", will make a concrete contribution to the ongoing transitional process in Tunisia, through annual series of seminars related to democracy, human rights and the rule of law. Strasbourg - On 19- 20 December, an information seminar for officials of the Moroccan Parliament will be organised by the Parliamentary Assembly of the CoE (PACE), within the framework of the EU/CoE Programme “Strengthening democratic reform in the southern Neighbourhood”. The seminar will enable the delegation of the Moroccan Parliament’s Assembly of Representatives and Assembly of Councillors to gain a better knowledge of the structure and the functioning of the Council of Europe. Within the framework of the EU/ CoE Programme “Strengthening democratic reform in the Southern Neighbourhood”, representatives from Moroccan and Tunisian Ministries of Justice have been invited to attend CEPEJ plenary session, which will take place in Strasbourg, on 6- 7 December. This session, which marks the 10th CEPEJ anniversary, will provide the occasion to present ten years of concrete tools developed by the CEPEJ for policy makers and justice professionals, some of which will be used also for co-operation with Morocco and Tunisia. On 3- 4 December, the North South Centre of the Council of Europe – in partnership with the Alliance of Civilisations, the Aga Khan Development Network and the Ministry of Foreign Affairs of Portugal - organises the Lisbon Forum 2012. The present edition is entirely financed by the European Union, within the framework of the EU/CoE Programme “Strengthening democratic reform in the Southern Neighbourhood”. The theme for this year is “The Arab Season: from change to challenges”. It will be a follow-up to the previous edition of the Forum and will focus again on the developments in the countries of North Africa and the Middle East. Representatives from governments, parliaments, local and regional authorities, international organisations and NGOs from the northern and southern shore of the Mediterranean will gather to exchange their experience and discuss the democratic evolution of these countries. The Forum will analyse opportunities and challenges to co-operation. Furthermore, workshops on such issues as the promotion of the rule of law – in particular, through constitutional reforms and the reform of the judiciary – and the support to political reforms, freedom of expression and women rights will be organised. In the framework of the EU/CoE Programme “Strengthening democratic reform in the Southern neighbourhood “, the co-operation between CEPEJ and Tunisia enters in its first operational step. A group of CEPEJ experts went to Tunis on 19-21 November 2012 to meet officials from the Ministry of Justice and representatives of judicial professions and visit courts of different instances. A report on the functioning of the Tunisian judicial system, accompanied by a list of co-operation activities to be implemented under the Programme with a view to improving the quality and efficiency of judicial services, will be issued in January 2013. On 4-5 December 2012, a Moroccan expert will attend the CoE Conference on “Making prevention work: addressing the root causes of human trafficking in Europe” (Sofia, Bulgaria). His participation, which is financially supported by the South Programme, will allow for an increased knowledge of CoE instruments to prevent trafficking in human beings. The overall objective of the conference is to unite in a common endeavour Council of Europe member States, civil society and the private sector, by emphasizing the value of a comprehensive approach and inclusive international partnerships for prevention of trafficking in human beings. In addition, the conference will contribute to raising the visibility of the Council of Europe’s work to combat trafficking in human beings and will promote the Convention on Action against Trafficking in Human Beings. A provisional concept note on the Conference is available on the CoE Action against trafficking in human beings webpage. Rabat - In cooperation with the Constitutional Council of the Kingdom of Morocco, the Venice Commission organises a seminar on preliminary requests to the Constitutional Court (29- 30 November). The event will be organised within the framework of the EU/ CoE Programme "Strengthening democratic reform in the Southern Neighbourhood". The first number of the Schools of Political Studies’ newsletter has been published on the Schools’ webpage. The newsletter contains updated information on the new Moroccan and Tunisian Schools, set up with the financial support of the EU/ CoE Programme "Strengthening democratic reform in the Southern Neighbourhood". The official inauguration of the two new Schools is foreseen for the beginning of 2013. Rabat- On 8 November, a one-day seminar on the topic “Controls exerted by Parliaments on Governments’ actions” was held within the framework of the EU/CoE Programme for "Strengthening democratic reform in the Southern Neighbourhood". The seminar, which was organised by the Parliamentary Assembly of the Council of Europe (PACE) at the invitation of the Moroccan Parliament, brought together six members of the PACE, several members of the Moroccan Parliament, as well as a member of the Venice Commission. The participants discussed different European legal models and practices for parliamentary scrutiny of the executive, and their possible relevance for the Moroccan Parliament, which holds “Partner for democracy” status with the CoE Parliamentary Assembly. The Programme of the seminar is available on PACE website. Within the framework of the European Union / Council of Europe Programme on "Strengthening democratic reform in the Southern Neighborhood”, the CEPEJ has been called by the Kingdom of Morocco to make an assessment of the functioning of the Moroccan judicial system. After a first visit in June 2012, a delegation of the CEPEJ went for the second time in Morocco from 29 October to 1 November 2012 and met with the Ministry of Justice as well as several key actors in the justice sector. Important issues related to the functioning of the Moroccan judicial system were examined with a view to finalising the CEPEJ assessment. A roadmap for greater cooperation between the CEPEJ and the pilot courts of Agadir and Casablanca was also agreed upon in order to improve time management and quality of justice in these courts. A programme of the visit is available on CEPEJ webpage. Information on the visit is also available on the International Union of Judicial Officers website. 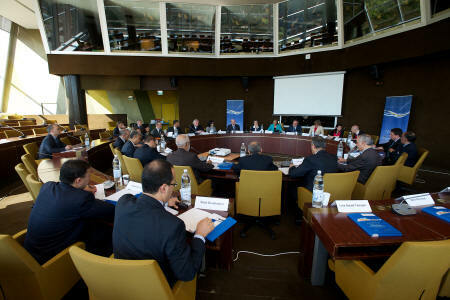 [30.10.2012] On 17-18 October 2012, a technical delegation from Morocco was at the Council of Europe to discuss co-operation activities in the field of promotion of good governance and fight against corruption and money laundering. The meeting, which was organised in the framework of the EU - CoE Programme “Strengthening democratic reform in the Southern Neighbourhood” (South Programme), provided the opportunity to examine the co-operation activities planned for the next few months in the country and agree on a workplan for their implementation. Some members of the delegation were also invited to attend the GRECO plenary session. Furthermore, the participation in the meeting of representatives from the Moroccan Ministries of Justice and Interior, as well as from key institutions and associations involved in the promotion of good governance, allowed to take stock of the activities which are currently being implemented in this area by the different actors. Finally, an exchange of views and information on broader co-operation with Morocco, with a special focus on the South Programme activities in the field of independence and efficiency of the judiciary, promotion of human rights and fight against trafficking in human beings, regional co-operation for the promotion of human rights and democratic values, took place. [05.09.2012] The implementation of a Council of Europe-EU programme to help strengthen democratic reform in Europe’s “Southern Neighbourhood” will start in Brussels on Friday 7 September. Ground-breaking changes in North Africa and the Middle East brought on by the Arab Spring have made co-operation between the Council of Europe, the European Union and the Southern Mediterranean more important than ever. Funded by the EU, the €4.8 million programme aims to make use of the Council of Europe’s experience and expertise to help participating countries in their moves towards European and international standards of democracy and human rights. The project was officially launched by Council of Europe Secretary General Thorbjørn Jagland and EU Enlargement Commissioner Štefan Füle in January 2012. During an initial inception phase, discussions have been held with countries involved to help identify their needs, and also with other organisations working in the region so as to ensure coordination and prevent duplication. The precise actions which have been identified for implementation will now be discussed with partner countries from the region at the meeting in Brussels. Representatives from Algeria, Egypt, Israel, Jordan, Lebanon, Libya, Morocco and Tunisia, as well as the Palestinian Authority, are due to take part¹. The programme will initially focus on Morocco and Tunisia. Work on promoting democratic values will also involve other countries of the region in a multilateral format. Specific actions will include using specialised Council of Europe monitoring bodies to assess the functioning of the judiciary in Morocco and Tunisia – as well as measures to fight corruption and money laundering. Participating countries will also examine different possibilities for cooperation, including through specialised Council of Europe bodies such as the Venice Commission and the North-South Centre, possible accession to some Council of Europe conventions and participation in selected Council of Europe programmes in various fields such as youth. ¹In May 2011, the EU suspended bilateral co-operation programmes between the EU and the Syrian government under the MEDA/ European Neighbourhood Policy Instrument (ENPI). The European Commission has also suspended the participation of Syrian authorities in its regional programmes.